Agave americana (and pups) there in the corner, or at least what I've always referred to as A. americana. Turns out it might actually be Agave americana var. protoamericana, which makes sense because that's a smaller and more cold-hardy version of the mammoth original. A pup from one of my A. parryi 'JC Raulston', separated and planted at the base of the Genista aetnensis. A pair of A. bracteosa. The first of several Agave parryi 'JC Raulston' — note there are two pups at roughly 5 and 7 o'clock. Yes, another A. parryi 'JC Raulston', or two. And another! 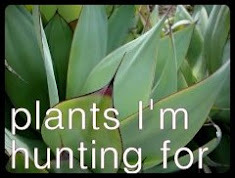 With three of it's own pups and a transplanted pup of Agave parryi var. couesii (NTY) tucked up close. I visited my brother in Phoenix, Arizona, last month. We were talking about Agaves and I said something about having more in-ground Agaves than probably any other Portland gardener. 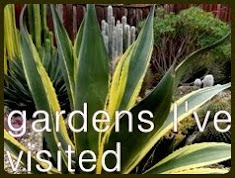 He laughed and remarked I had more in-ground Agaves than most Phoenix gardeners. Hmm...he might have a point. But then again mine don't obtain the monster proportions that your average Arizona or Southern California plant does. Left to right, a gift-pup from the humongous Agave in this garden (ID unknown), A. utahensis (NTY), and A. ocahui. This one was just barely visible in the photo above, A. ovatifolia, not 'Frosty Blue'. Another A. americana or A. americana var. protoamericana — sibling to the one shown at the begining. Ditto here, athough it may be A. havardiana (NTY). Can you guess? Yes, the last A. parryi 'JC Raulston'. Back around to where we started, and walking up the driveway now, a pair of Agave bracteosa. Another NOID, one that I inherited from Sally. I've been calling it A. americana var. protoamericana but now I'm not so sure. The poor Agave americana that bore the brunt of the Agave Edema episode. I cut off its scarred arms when it was still dry out, but the wounds don't look so good. Here's hoping. My A. parryi from The Ruth Bancroft Garden (NTY). And this which I recently referred to as Agave neomexicana but I think is actually A. havardiana. On the other side of the front steps is one of my favorite autumn scenes. Agave ovatifolia, growing out of it's Agave edema disfiguration quite nicely. Another Agave utahensis (NTY), I bought a gallon sized container with several plants that I separated, that's why there are so many. The second (slightly smaller) Agave ovatifolia. NOID Agave on the left, and A. parryi on the right. The last of the front-garden Agaves! These next two photos are the only ones not taken on Oct 12th, I didn't get them all dug from around the garden until last week. As I said they will spend winter here, in the stock tanks, unless temps in the 20's F are predicted in which case I'll yank them and leave them in the basement 'til it warms. Why do they migrate to the tanks? Better draining soil than where they were planted, and more winter sun. Plus they're not completely cold hardy, so I can keep an eye on them here much easier than spread around the garden. To the back-garden we go! Here's one of the areas I refer to as an Agave burial mound — because the ground is built up to improve drainage it looks like a mound where some poor creature is buried. There are so many Agaves crammed in here that I've lost track of what they all are, mostly because I never knew in he first place (missing or damaged labels when I acquired them via a rescue operation). And that big guy is probably Agave neomexicana. This one almost bit it during the winter of 2013/14, but is pushing on. 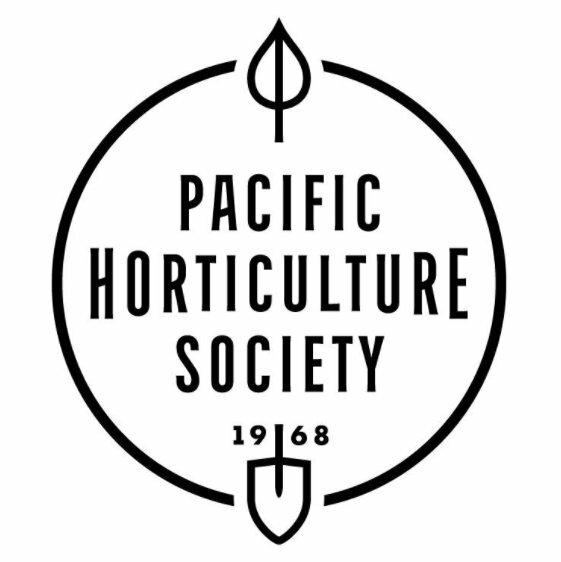 The three A. parryi dish planters stay in place unless something crazy is predicted. It's hard to tell here but they've got legs. This planting is next to the patio stairs, and, well are you getting tired of me saying I've lost track of names? Well, okay, but I have — some of them look so similar! I can point to the big guy on the left as being A. bracteosa, and the same for the small one on the upper far right. There's also an Agave utahensis pup in there (NTY). Close up of the large A. bracteosa. This pair are both A. 'Mateo' — pups separated from a larger plant in a container. Here is another A. 'Mateo' and an Agave striata. The mass of wiggling brown on the left are Sedum spurium that have died back for the season. For being a tough plant it sure can turn quickly to ugly. Small A. parryi 'J.C. Raulston' pup. The A. 'Sharkskin' is in a container, and to heavy to lift, so it spends winter here in place but with a PVC and plastic cover over it to keep it dry. The A. victoriae-reginae on the far left is moved to the shade pavilion greenhouse. The same goes for Mr. Big (Agave americana 'Variegata') at the back, into the "greenhouse" for him (he's not actually planted in that big green container). The A. ovatifolia winters in place with cover. Why a cover? Since it's in a container I want to be sure to keep it dry. And A. bracteosa, also with an open bottom. And with that we're done! This concludes my Agave report for pre-winter 2016/17, thanks for playing along. I am hearing talk of a cooler, wet winter ahead... hang on spiky friends! You definitely have more agaves in the ground than I do. WOW. You're doing an amazing job keeping track of what is what. 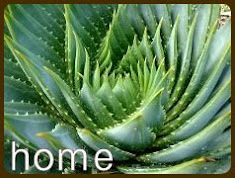 Smaller agaves are often notoriously difficult to keep apart. -Agave weberi: The teeth are unusual. Usually it has no, or very fine, teeth. -Agave 'Baccarat': Looks more like Agave montana to me. 'Baccarat' is more glaucous. Agave schidigera 'Black Widow' - is a definite possibility! I had one years ago that looked different (to my memory) but the photos online support this name. Agave weberi - yes! I discovered this during my trip to the Desert Botanical Garden. I started to go into that in this post but decided to just call out what I received it as and cover the "but what is it" in a future post. So any guesses on what it is? Agave 'Baccarat' - thank you! I waffled back and forth on that one...appreciate your weighing in on it. The droop to the leaves makes me wonder A. franzosinii which I just see was renamed to A. beauleriana. Oh, boy. But take that with a big old chuck of salt, not a grain. This was fun! I didn't realize it had been so long since you've done an Agave report. 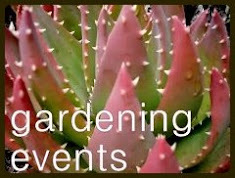 I was very tempted by the beautiful Agave ovatifolia at Cistus when I was there, but they were so expensive. Fingers crossed, Loree, that you have the same count of spiky friends in spring. I still have a bunch of variegated mitis babies should you have any empty pots in 2017. Thanks Denise, I will take all the crossed fingers I can get! Last winter was horribly wet but if this one is wetter AND colder, well...it might be a bad spring. I will keep your generous offer in mind! Not only do you have far more agaves than I do in my SoCal garden, yours look healthier overall, despite the edema debacle (with which I've also had some problems). I've no idea how many I actually have and many of mine are still small, but perhaps I'll have to conduct an inventory one day. I would love to read of your inventory! As for the health, I bet come April mine will look a little worse for the wear. 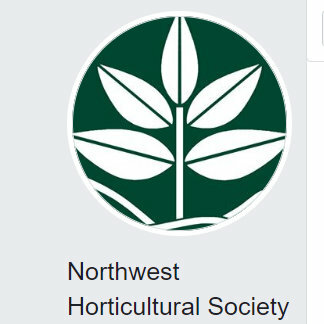 You really are the agave queen of the PNW! Hoping that your in the ground kiddos make it through the winter unscathed. It is an odd Agave. 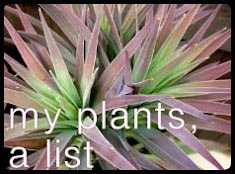 I tend to confuse it and Agave striata, why did two such similar plants have to get such similar names? I do enjoy seeing your agaves. It's almost like growing them myself, without the risk of impalement! Hopefully this winter is kind to your spiky treasures. I pulled my bracteosa pups and put them in the greenhouse for winter. They were still pretty small and I didn't want to risk losing them. They've already grown a bit in the greenhouse, and hopefully they'll grow faster in spring so I can put them back in the garden and have some impact. That was probably smart Evan. I wonder if I'll do something similar if the predictions get really nasty? I think your brother might be correct; that is a serious collection. Love the fall combo by the front door. Actually I just love all that milky blue foliage. Do you have to worry about the plants in the stock tank getting water-logged even with free-draining soil? Sure, especially in one of the tanks where the soil seems to have gotten heavier. I think it's the manure I mixed in for my tomatoes. Man, this is so cool! So far my two baby agaves are in pots wintering inside. 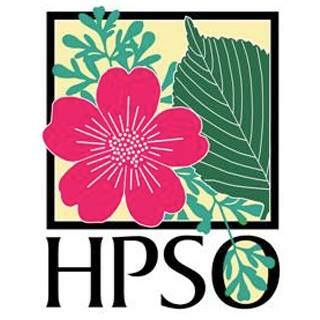 Any idea if you'll host a HPSO Open Garden next year? It would be fantastic to see everything in person! 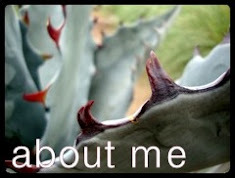 Love this post and living vicariously through your Agave in-ground adventures. I just love them all. If I were you, I might even have more J.C. Raulstons. That's a seriously nice Agave. My A. havardiana that survived the winter outdoors will be giving it another go this year. They look gorgeous, but small. I think having them sheltered from morning sun helped last year, so they didn't warm up too quickly. Also a mild winter certainly played a big part. Here's hoping your Agaves sail through winter like champs!